I have introduced a couple of swords here and here within the context of being around “on the eve” of a famous historical incident and the piece that I am going to introduce here joins these ranks, although it was literally directly involved in such a famous historical incident. To let the cat out of the bag, and as the title already gives it away, the blade that I want to introduce here is the blade with which the famous tea master Sen no Rikyū (千利休, 1522-1591) committed on the 28th day of the second month Tenshō 19 (天正, 1591) seppuku. The circumstances for his ritual suicide are widely documented and so I rather want to focus on the sword in question whose blade is a work by no less than one of the greatest swordsmiths in Japanese history, Awataguchi Tōshirō Yoshimitsu (粟田口藤四郎吉光). Kind of fitting to commit seppuku with when you are the greatest tea master in Japanese history. The sword, obviously a tantō, is nicknamed Kobuya-Tōshirō (こぶや藤四郎・こぶ屋藤四郎) and there are several contradictory traditions out there about its background and provenance. 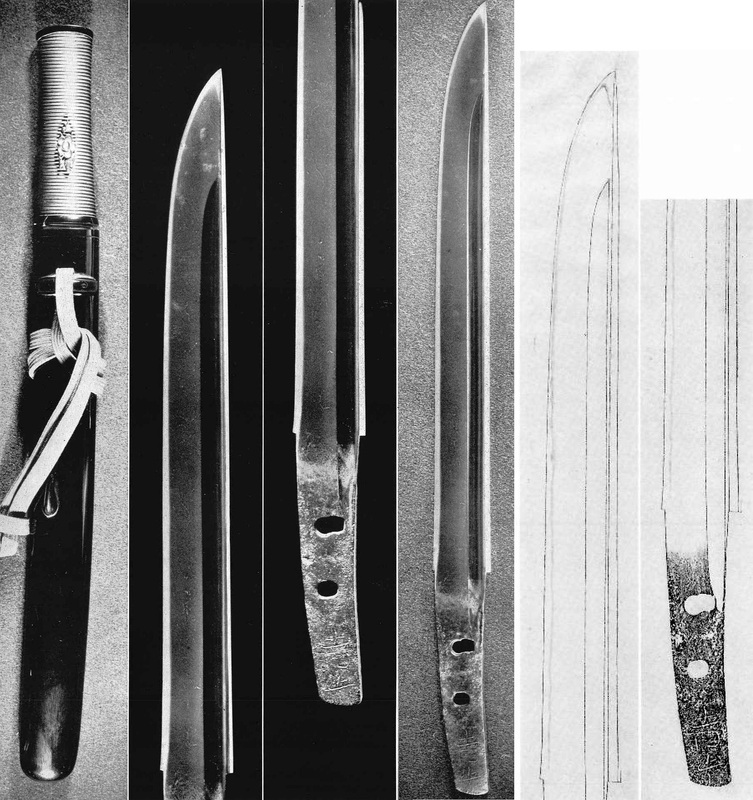 Picture 1: jūyō-bijutsuhin, tantō, mei: “Yoshimitsu” (吉光), nagasa 25.0 cm, sunnobi-sugata, dense ko-itame with ji-nie, suguha in ko-nie-deki which narrows down along the monouchi. Honma Junji writes that the jiba of the blade shows some tiredness (tsukare) but that it is nevertheless a very important reference because of its provenance and deserves thus special recognition amongst the numerous works extant by Yoshimitsu. Now the contradictory things concerning this sword are first the origins of its nickname and second, who made or was in charge of making its koshirae. As for the former, Kobuya was a merchant family from Kanazawa in Kaga province, most likely dealing with the edible konbu algae which is also referred to as kobu in Japan (and as kombu in the West). So, the blade was designated as a jūyō-bijutsuhin on September 5, 1938 and was then owned by Yoshida Yoshimichi (吉田由道) who became later, in 1949, the initiator and first president of the Kyōto branch of the NBTHK. The brief explanation to the jūyō-bijutsuhin designation says that the blade was owned by Sen no Rikyū, that Rikyū commissioned Hon’ami Kōsa (本阿弥光瑳, 1573-1637) with making its koshirae, and that it was later handed down within the Kobuya family from Kanazawa in Kaga province which earned it its nickname. The explanation to the designation also says that the sword is accompanied by three letters from Hon’ami Kōho (本阿弥光甫, 1601-1682) to Sen no Sōshitsu (千宗室, 1622-1697), Rikyū’s great-grandson. Just to connect the dots here, Kōsa was the third and Kōho the fourth generation of the Kōji line of the Hon’ami family which was, due to its second head and Kōsa’s adoptive father Kōetsu (本阿弥光悦, 1558-1637), very much involved in the art world of that time. Also, the Kōji-Hon’ami enjoyed a lucrative hereditary employment by the wealthy Kaga fief which provides us with a local connection to the Kobuya family. So far, so good. The catalog to the 1990 special exhibition Sen no Rikyū – The 400th Memorial of the Kyōto National Museum however records the provenance of the sword somewhat differently. Therein it is stated that the Yoshimitsu blade was first owned by the Kobuya family, that it was acquired by Rikyū, and that Rikyū commissioned Hon’ami Kōtoku (本阿弥光徳, 1552-1619) with making a koshirae for it. Kōtoku was the ninth head of the Hon’ami main line and in course of having the koshirae made, he contributed, as a gift to Rikyū, the shakudō menuki which depict plum blossoms on a branch. Now as for who is “right,” it is difficult to say. On the one hand, you have the explanatory comments to the jūyō-bijutsuhin designation, and on the other hand you have the exhibition catalog published by the Kyōto National Museum (which owns the sword today by the way). As we know, sword studies have greatly advanced since the time of the jūyō-bijutsuhin designation in 1938 and therefore I tend to follow the Kyōto National Museum for the time being. However, there is a big question mark here and that is the three letters by Kōho to Rikyū’s great-grandson Sen no Sōshitsu which were in the jūyō-bijutsuhin designation “bundle” and which might reveal more about the provenance. Well, I would like to know inhowfar these letters were incorporated into the recording of the provenance, i.e. if they actually contain anything about the provenance (probably I guess) and if they were actually checked by the jūyō-bijutsuhin designation committee and/or the team that made the Kyōto National Museum catalog. So, one scenario would be that the teams drew different conclusions from the content of the letter and another one would be that the letters were put unread into the jūyō-bijutsuhin designation “bundle”, that just an old tradition about the provenance was followed then, and that the letters were later read and studied by the Kyōto National Museum and that is why they came to realize that the sword has a different provenance. Incidentally, I do have pictures of the letters (from the jūyō-bijutsuhin designation) but they are too small to read anything (see picture 2). Picture 2: The letters of Kōho to Sen no Sōshitsu. Picture 3: Copy of the Waifu’ya-koshirae. Just a final note in this context, it is unknown which blade is/was mounted in the Waifu’ya-koshirae as the whereabouts of the sword are unknown since at least the 1920s. All we have today are several copies (one of them shown in picture 3) and period descriptions (for example in the Higo Tōsō Roku [肥後刀装録] published in 1934). Many thanks for the article on Sen-no Rikyu and his sword as it not only complements in detail the copy of the Exhibition Catalogue I have but gives other valuable background to the history of the sword.The catalogue also has a nice colour photograph of him and a copy of his death poem (yuige) 1591 on a hanging scroll 28.5 x 44.0 Fushin’an Kyoto.